Petit Bateau was a shop that used to be one of my favourite places to buy ‘special’ children’s’ clothes. However, a terrible exchange and returns policy and huge delivery and returns costs means that I won’t be buying from there again. When we lived near a store I used to pop in quite a few times a year to buy something for my eldest daughter. I couldn’t go too often as the clothes with some hanging tags whilst lovely are very pricey. We then moved and were too far from a store to make it feasible so I stopped shopping there and found other favourite brands/stores for children’s clothes. 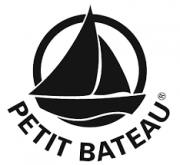 A few months ago a Google search brought up Petit Bateau for something I was looking for. I created an account, but then found the item I wanted wasn’t in stock for that particular size. After that I continued to receive their numerous marketing emails and was lured in just before Christmas with some sale items, which took the clothes down to a more reasonable price. Regardless of how many items you order and their total value, the delivery cost is £7.95. This seems really steep especially as delivery takes a minimum of four-to-six days from the day your order confirmation email is sent. It seems particularly expensive when compared with many other retailers. However, I grinned and beared it as the savings seemed just about worth it. The items arrived after quite a wait and were too small for all three of my girls (despite them all being small for their age). With Petit Bateau you have just 14 days to claim a refund for any ‘defective item/s.’ You have to print off the return forms (they aren’t provided) and then send back at your own expense! So £7.95 for delivery and then the costs to send back. I didn’t want to do that. Firstly I wanted the items just in bigger sizes, but exchanges can only be done in-store; secondly I didn’t want to pay twice on the P&P! So I decided to make the journey to our closest store and combine it with some Christmas shopping. After a one hour and 20 minute drive through grinding South London pre-Christmas traffic we got to the store. Whilst the website states that exchanges can only be made in store, I couldn’t find anywhere where it explicitly says you cannot get a refund in store. Guess what? You can’t get a refund in store. I would have happily settled for exchanging for bigger sizes, except they didn’t have them. I was invited to send them back at my own expense and then re-order and incur a further delivery cost. Cue a few expletives and a vow never to shop there again. *I did feel rather sorry for the sales assistant who sympathised with the predicament but was bound by company policy.